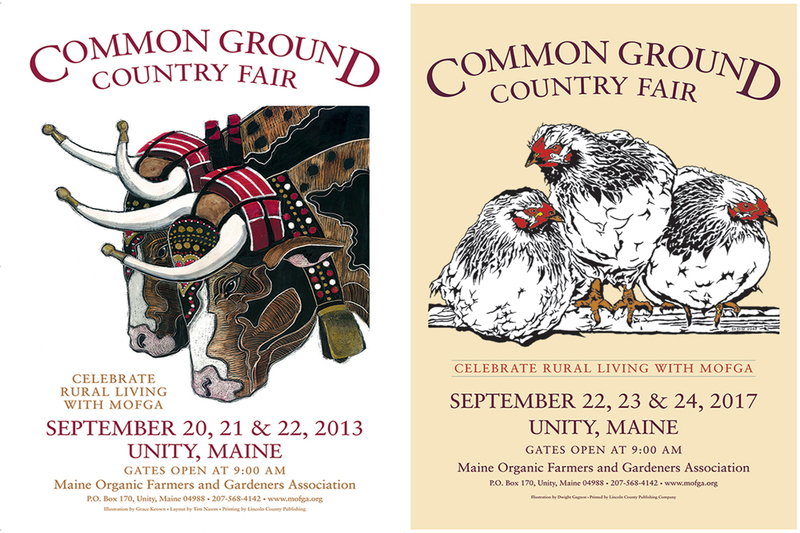 “Chickens are very classic,” notes Common Ground Country Fair director April Boucher, who recently unveiled the trio of fluffy, white Columbian Wyandottes that grace the posters, T-shirts, and totes of the 41st annual festival of the Maine Organic Farmers and Gardeners Association in Unity. 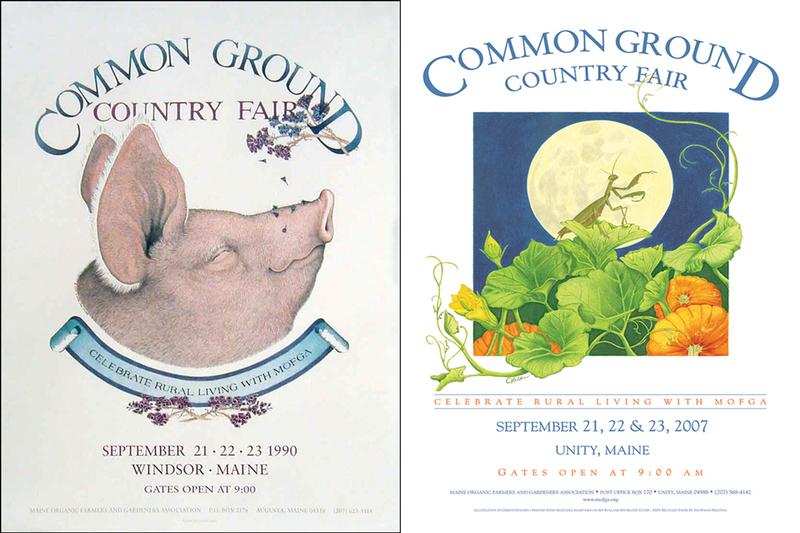 Some 60,000 agro-lovers attend every year, and for the most devoted fans, the logo reveal is always big news; many love to collect anything and everything it’s printed on. 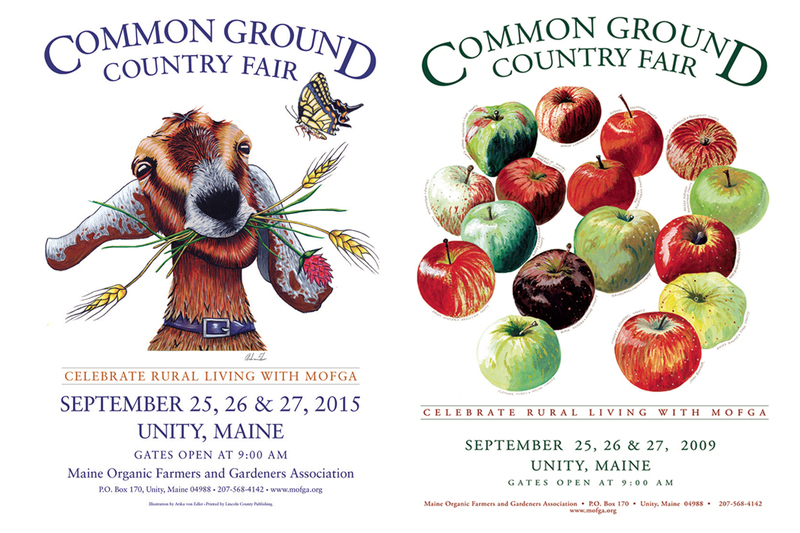 Designs that really resonate with fairgoers are a boon for MOFGA, since retail sales help fund the non-profit’s year-round work. 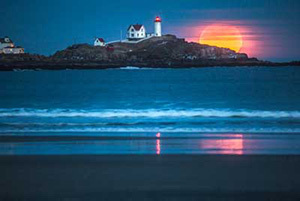 The mantis and full moon, from 2007, sold like (organic spelt) hotcakes, Boucher says. And people still ask about getting their hands on 2015’s whimsical goat and butterfly. Such is demand for certain past designs that MOFGA will soon, for the first time, start re-releasing T-shirts and totes. The list of popular oldies is long, so ahead of this year’s fair (Sept. 22–24), we asked Boucher to share a half-dozen faves.